The Lorca suite is probably Rautavaara's most popular choral work. The combination of Lorca's poetry and the soaring melodic lines of the music make it a true pearl of contemporary choral literature. Rautavaara has injected each of the four movements of the suite with its own unmistakable character. Text: Federico Garcia Lorca (Spanish/Finnish), duration: 7 minutes. The First Runo is unusual in that it is a setting of part of the Kalevala, the Finnish national epic, in an English translation rather than the original Finnish. Rautavaara has chosen the very first poem of the Kalevala, which describes the creation of the world according to Finnish mythology. Rautavaara uses a shimmering vocal texture to paint an image of the primeval lake. Duration: 8 minutes. This Christmas carol, commissioned by the Finnish broadcasting company Yle and first performed in Helsinki by Helsinki Chamber Choir, conducted by Nils Schweckendiek, is based on three texts, two by William Shakespeare and one by George Wither. The largely homophonic textures combine with Rautavaara's characteristically rich and often chromatic harmonies to form a very effective and satisfying work, a bit different from the usual Christmas offering. Composed for unaccompanied Double Mixed Chorus, these two songs were commissioned by the Swedish Broadcasting Corporation for the 75th Anniversary Concert of the Swedish Radio Choir. Based on two poems by Ann Jaderlund with text in Swedish and an English translation. Noted Swedish composer Otto Olsson had an interest in early music and used the plainchant techniques of Gregorian chant in his Gregorianska melodier. He explored polytonality in his work, an advancement not found in other Swedish works of the time. In addition to many fine choral works, his best-known work is his setting of the Te Deum, a large piece for chorus. Here are six hymns for mixed chorus. "There Will Never Be Another You " is a sensitive treatment of the jazz standard that opens as a ballad before moving to a buoyant swing feel. Great tune, great arrangement. SATB a cappella with soprano solo. "Come Sunday" - Careful voice leading makes the contemporary harmonic changes and chord voicings in this chart quite accessible in this SSATBB a cappella arrangement. It features a strong 5 and 6 part into featuring the first chorus with a pyramid background behind a soprano melody moving into spread harmonies. The second chorus is open for a improvised solo with a tag over a 3-part harmonized background with walking bass. The chart ends with a 6-way harmonized "quasi-shout" chorus moving back into the origianl melody. Stevie Wonder's "Sir Duke" never had it so good in this marvelous Edenroth arrangement. This is the first complete survey of Sweden's rich choral music during half a century. 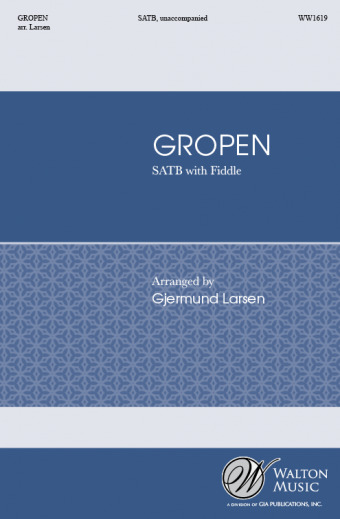 Equally suited to music libraries and music institutions and as individual studies for choirs with an interest in Scandinavian music, it includes a guide to research, a select discography, a select bibliography, and a list of selected a cappella works relating to the composers interviewed. Dr. Sparks is a Professor of Music at Pacific Lutheran University and is Artistic Director of Choral Arts Northwest, a 24-voice chamber choir founded in 1993. Robert Sund is a distinguished Swedish composer and conductor. These unaccompanied works for mixed chorus divisi, based on sacred texts in Latin, include: Ave maris stella, Ave verum corpus, Ave Maria. Displaying 1-42 of 42 items. A true gem in the Swedish folklore music - this work evokes the echoing sound from hilltop to hilltop, bringing the cattle home for the evening. The music-painting quality has made it an instant favorite since its first U.S. performance. Swedish and English texts. Available: SATB a cappella. A beautiful and dynamic setting of the Zechariah 14: 6-9 text that describes the day that there will be no light, cold, or frost, no day or night - a day only the Lord knows. While it will be a challenge for most singers, the Swedish text adds great dimension to the work. 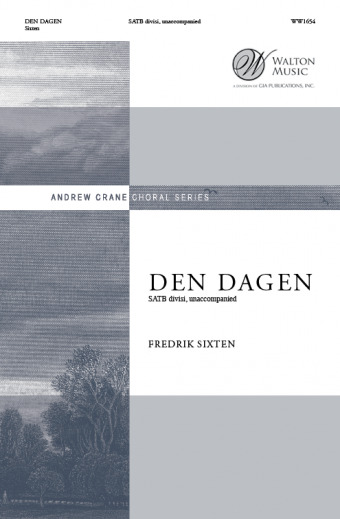 Don't miss this work by one of Sweden's greatest contemporary choral composers. Andrew Crane Choral Series. Originally conceived as a vocal solo for a classically trained soprano. Now, the vocal palette has been expanded for both SSAA and SATB choirs. Along with the expanded number of voices, the style has also expanded to include a folk-like style for the lower voices, an angel-like quality for the upper voices and an accordian, wind instrument and percussion accompaniment to embellish the piano part. This can also be accompanied using the chord symbols for a more free and improvisatory affect. Inspired by the traditional Sami yoik, a very old vocal tradition among the Sami people of Scandinavia and Russia, this beautiful music was used in the Disney animated film Frozen. 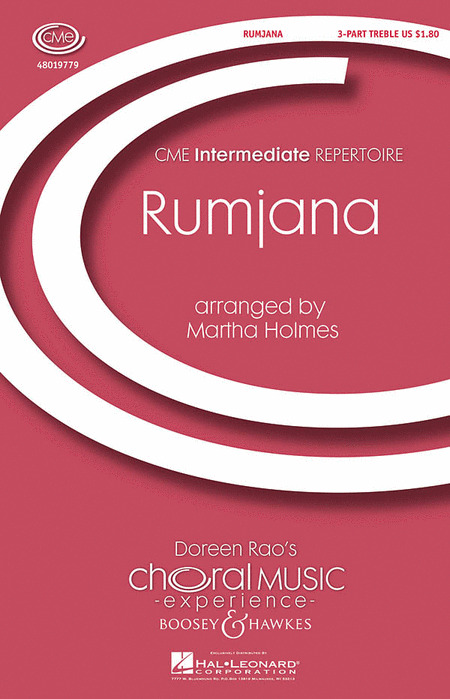 Now available in several voicings, all choirs can now enjoy these works that are infused with style and ethnic authenticity that will bring a wonderful and unique sound to your choral concert. 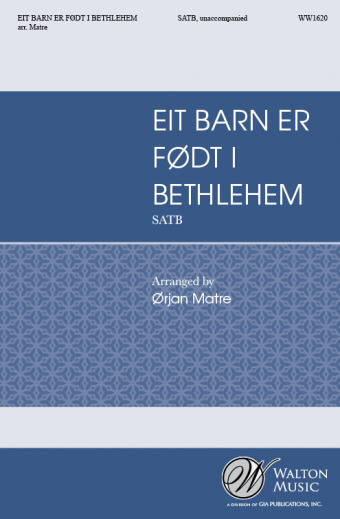 The beautiful fourteenth-century hymn Puer natus in Bethlehem has been set in Norwegian by composer Orjan Matre. Matre has used a Norwegian folk tune that makes this a very unique offering for Christmas. Improvised lute, violin, and string bass can be used to add to its charm. Norway is a country rich in folk tradition, and in this piece, elements of folk dance and instrumental music are clearly represented. These tunes are fun, singable, and would fit perfectly on a program of multicultural music, or as a stand-alone on a concert of a more diverse nature. Complete IPA guide included. An incredible interpretation of a joyous Norwegian folk song by well-known Norwegian composer, songwriter, and violinist Gjermund Larsen. Gropen is a rhythmic and breathtaking work that is truly unique. Drawing from the Sami culture, a Nordic society dating from the 2nd century, here is a truly multicultural anthem. With a strong influence from the Sami Yoik tradition along with Norse elements and contemporary Western musical norms, this beautiful setting of the Latin text Kyrie is an amazing new setting of this traditional text. There is a lovely section for a soloist or small group with a clear line but with space for improvisation as well. This setting of Solveig's Song from Act V of Ibsen's Peer Gynt is a gentle lullaby in ABA form. It features a variety of choral textures, some alternation of meters and interplay between the mezzo-soprano soloist and the rest of the choir. The middle section is characterized by increased divisi writing, contrapuntal imitation and some degree of modulation resulting in overall intensification. The hymn My Heart Always Lingers is one of the most popular Scandinavian hymns. 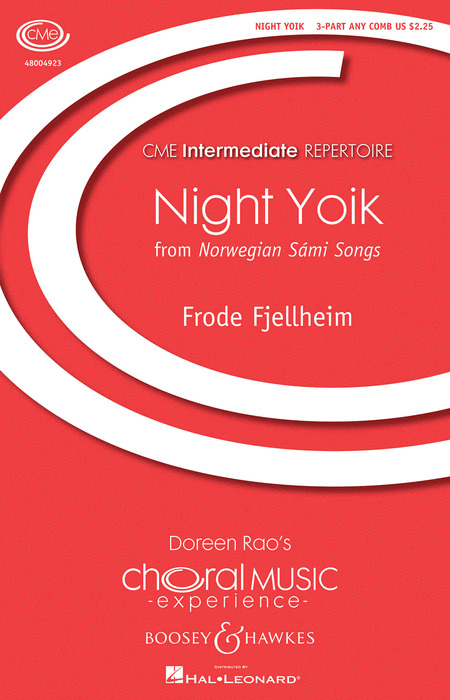 This arrangement by Norwegian composer Frode Fjellheim, includes elements from the yoik tradition, a Northern Sami translation of the first verse and the last verse in Norwegian. This arrangement is designed to be performed with the piano part included, more freely using the chord symbols or as an a cappella anthem. For Equal Voices or Mixed Choir, Frame Drum, Synthesizer (Piano) and Improvised Instrumental solo. Yoik is a very old tradition amon the Sámi people of Scandanavia and Russia. The Sámis themselves say that the Yoik has no beginning and no end. The Yoik often describes a specific person, emotion or other element of nature and does so with very little use of words. Duration: ca. 4:40. Drawing on Scandinavian mythology, the native music of the Yoik people and contemporary harmonies, Frode Fjellheim has established himself as a visionary as he combines these disparate musical styles. Detailed page two notes offer excellent guidance for a successful performance. An authentic, haunting folk song arranged in a unique style that will make this choice stand out in your concert. With English text and simple pronunciation guide for singing in original language. Duration: ca. 3:55. Combining traditional western harmonies, 12 tone technique, and elements of the Sami Yoik tradition, this eclectic and emotional piece will connect you, your choir, and your audience to each of these musical traditions. A wonderful teaching tool as well as a powerful concert work. "The text exists merely to give form to the music and is meaningless," says Finnish composer Mantyjarvi, whose "El Hambo" in 1999 was an instant success with American high school choirs. In "Pseudo-Yoik" he takes a humorous look at the stereotype of the Lapland folk music. The text exists merely to give form to the music and is meaningless, says Finnish composer Mäntyjärvi, whose El Hambo in 1999 was an instant success with American high school choirs. In Pseudo-Yoik he takes a humorous look at the stereotype of the Lapland folk music. Available: SATB divisi a cappella, SSAA divisi a cappella, TTBB divisi a cappella. Performance Time: 2:15. A traditional Bulgarian folk song, Rumjana has the common rhythm of a lesnoto, a stately dance in 7/8 time. Originally part of a Mass setting incorporating traditional Latin Mass movements with elements from the Sami yoik tradition, other Norwegian folk music and traditional Finnish Music. This single movement has no words, only Yoik syllables with no meaning. A simple pronunciation guide is included. This song, along with other music by Frode, can be heard on the Decca album Northern Lights by Cantus. This song's arrangement is based on the classic Swedish custom of Saint Lucy. With the chorus section lyrics in Swedish, this version combines original lyrics and music with the traditional Sankta Lucia. A solid multicultural addition to your holiday concert with unique teaching opportunities for your classroom and rehearsal. Available separately: 3-part mixed, 2-part, PianoTrax CD. Duration: ca. 2:40. This song's arrangement is based on the classic Swedish custom of Saint Lucy. With the chorus section lyrics in Swedish, this version combines original lyrics and music with the traditional.Sankta Luciais a solid multicultural addition to your holiday concert with unique teaching opportunities for your classroom and rehearsal. Available separately: 3-part mixed, 2-part, PianoTrax CD. Duration: 2:40. This composition is based on a traditional Sámi yoik from the southernmost Sámi regions of Scandinavia and Russia. The yoik is a very old vocal tradition among the Sámi people that uses short melodic phrases repeated endlessly with small variation. 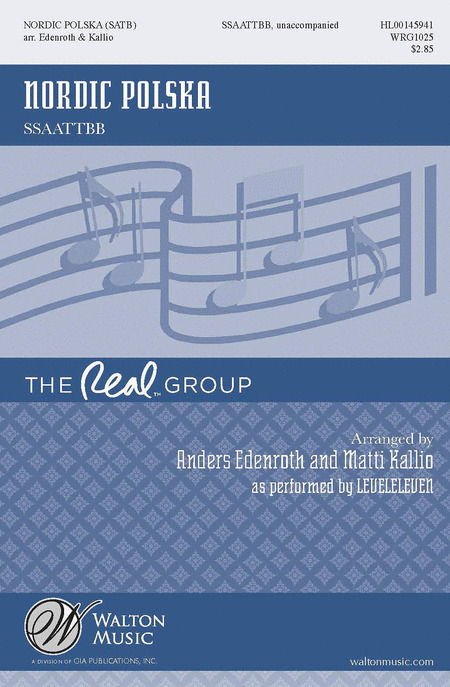 This edition may be performed by treble voices or easily adapted for mixed chorus. With Piano or Synthesizer and Frame Drum. Duration: ca. 5:40. This simple blessing can be adapted to secular or sacred contexts, and while most appropriate for young choirs, could also suit adult choirs in worship services. An easy piano accompaniment and limited vocal ranges make this a welcome addition! In Swedish, with a singing English translation. Based on a Norwegian folk tune, with English text by Kathleen Black, this song tells a charming and romantic love story. An ideal selection for groups of all ages. Optional string trio accompaniment. Available: SSA, Instrumental Pak. Performance Time: Approx. 2:25. This Finnish poem makes it clear that this lullaby is being sung by a peasant mother to her dead child, wishing it safe passage to the afterlife. Contents: Baka kaka søte (Bake a sweet cake) - Aa desse gamle kj inch.rringar (Oh these old women). 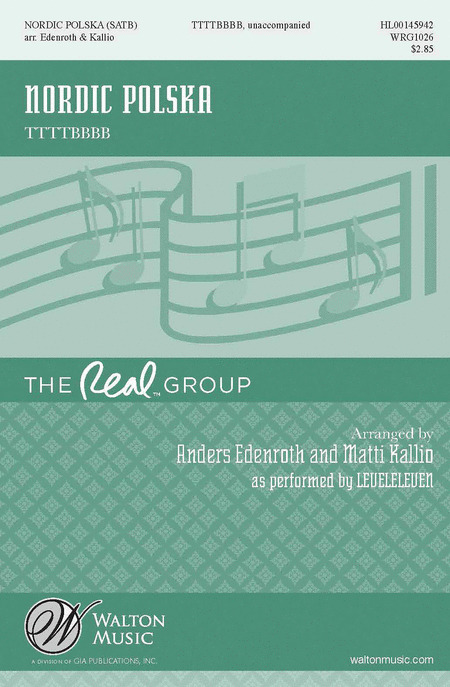 The renowned Swedish composer created this highly sensitive and dramatic piece for experienced singers. Based on the profound biblical text from Ecclesiastes, this work will render the listener speechless. Here is the composer's own setting of Vuelie, used in the Disney animated feature film Frozen. Capturing the stark beauty of the Frozen north, this is a wonderful selection that will expand your singers' understanding of Scandinavian music. Carl-Bertil Agnestig : Who Can Sail? The beautiful message of friendship, based on the simplest of Finnish folk melodies, has been sung by countless young choirs around the world. With descant. Swedish and English texts. Available: 2-Part. Jeanne Julseth-Heinrich : Who Can Sail? A timeless Norwegian folksong set for young voices with piano accompaniment. Wonderful lyrics, word painting, and easy harmonies will make a long-lasting impression on all. Available: 2-Part. Performance Time: Approx. 2:45. Winter's Night (Vinternatt) describes the silence and darkness during a northern winter. Although originally written for soprano saxophone as the leading solo instrument, it can easily be performed by other treble instruments. Score for 2-Part Treble chorus, Soprano Saxophone, Piano and Triangle.